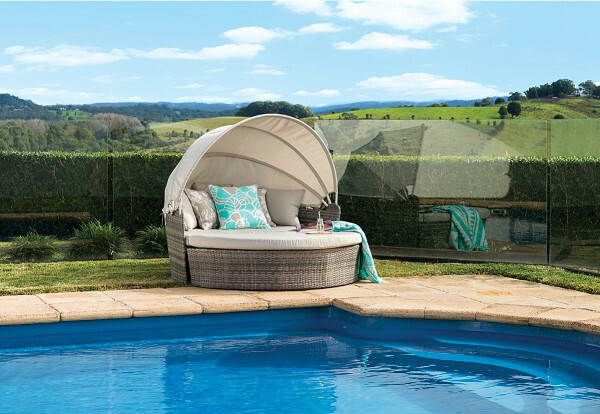 Behind every great Australian dream home, is the great Aussie backyard, just waiting to be explored (or destroyed!) by our children. Our beautiful backyard summers can be spent sipping cider in fancy hanging chairs one minute, and triaging injured children the next. 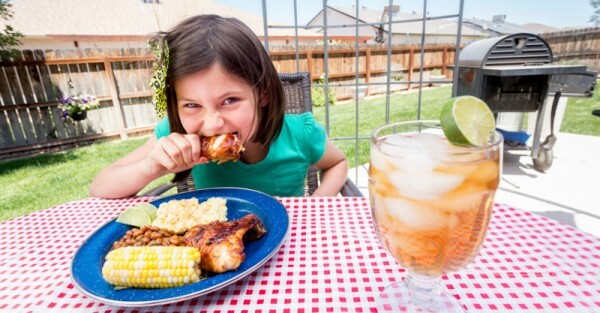 But there are plenty of things you can do to make your backyard a kid-friendly and safe entertaining oasis. Keep it simple. While an outdoor cinema in your backyard would be amazing, nature puts on its own show every night – and it’s free! Invest instead in a gorgeous outdoor daybed that you can all cosy up on and watch the stars at the end of a long summer’s day. A daybed is also a pretty awesome place to have a nanna nap, even if you’re not a child, or a nanna. Just saying. While kids see adventure around every corner, parents see potential trips to the hospital. 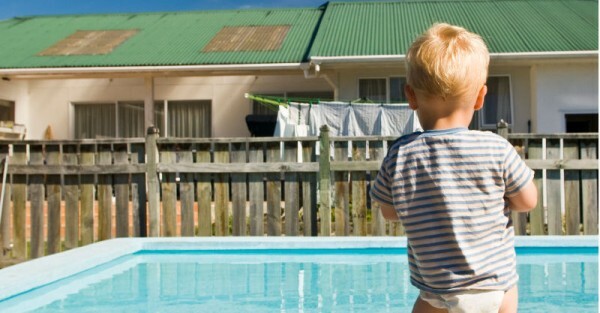 The best way to work out the hazards in your backyard is to get down to your child’s level and explore as they would. Look for any sharp edges, rough or rusted surfaces and tripping hazards. No doubt while trying to make a list of these lurking perils, you will encounter and injure yourself on all of them. Consider it research. Early on in our parenting lives we discover that children are equipped with the uncanny ability to seek out anything that may harm them. Water is like a homing beacon to kids of all ages, and they must be supervised around it at all times. If you have a backyard pool, look up your relevant state or territory’s fencing regulations, as they differ in each. Remember that even an inflatable baby pool may also need some form of fencing. In Victoria, for example, any pool or spa deeper than 30cm must have a safety barrier around it. Also take a look around for anything that may have gathered water after rainfall – buckets, wheelbarrows, even holes the kids may have helpfully dug. Now that you’ve made sure the backyard is safe, take a load off and enjoy the view of the children playing peacefully for all of five minutes. You’ll need a nifty little nest to rest your tail feather, so how about that fancy hanging chair I mentioned earlier? 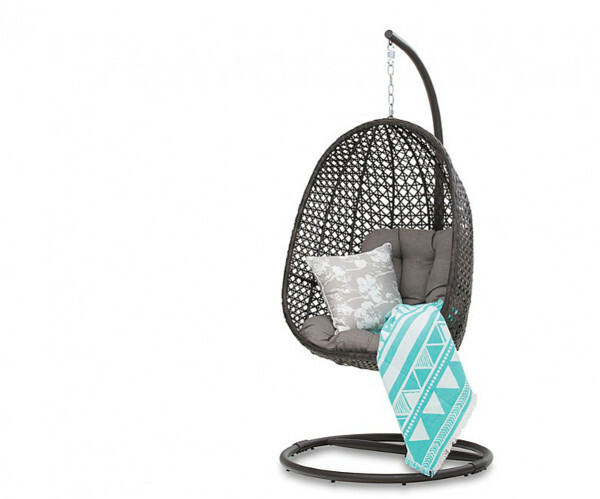 You need one, trust me… it’s all the fun of a childhood swing but totally acceptable because it’s an adult seat. Really. Hanging egg chairs are a bit of a crossover piece, because the kids will love sitting in it as much as you do. And when they come with a super comfy cushion, they’re just crying out for snuggling and feeding your baby… naww! Summer tip: no matter how many people you assume you’re having over for a barbecue, more will always magically appear. They’ll load up their paper plates with a couple of snags, buttered bread and a chop or two (impossible to cut with a plastic knife) and then they’ll desperately search for any flat surface to sit on. 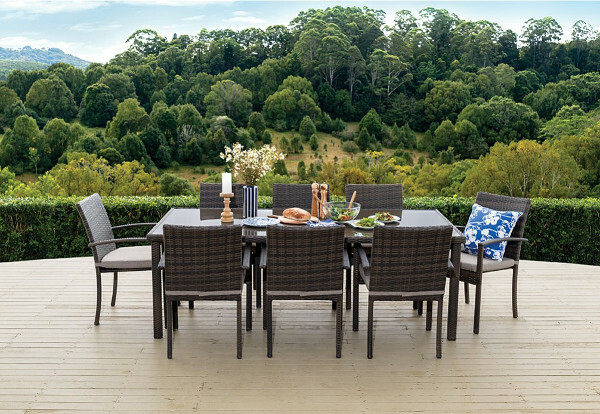 Having an outdoor dining setting is pretty much a must if you plan on using your outdoor living space to its full potential. Go for a dining setting that suits your family’s lifestyle – either large gatherings, or intimate soirées – whatever tickles your fancy. Get a kid-friendly, sturdy outdoor setting that can be hosed down after any particularly messy meals or birthday party mayhem. 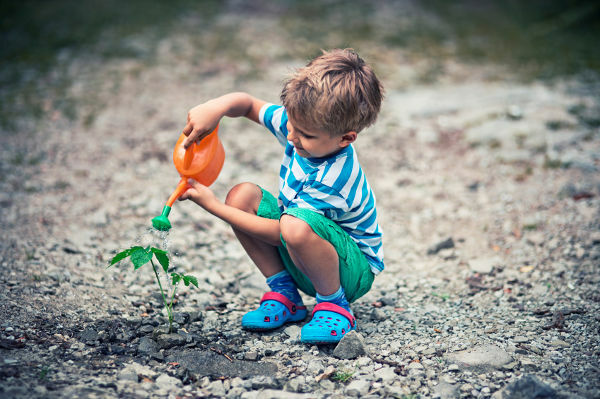 Get the kids involved in creating a garden they will love spending time in. Plants that look like other things seem to particularly intrigue children – like lamb’s ear (which is really hardy, so perfect for little hands that love to explore). Grow things that smell amazing like lavender, mint and lemon balm. Even better, plant things that taste amazing! Make a little vege garden and if you get the kids involved they may even actually eat the vegetables. No guarantees, but here’s hoping! Do your research, as there are some plants which can be harmful if touched or eaten by children. 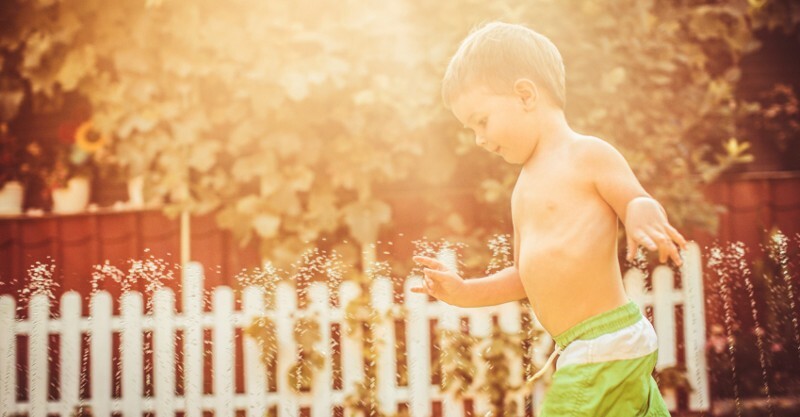 There you have it Babyologists, our guide to getting your backyard summer (and kid) ready. Get cracking!